Accordingly, the discrepancies made some errors in the result due to which there came up need to make some changes in the result. Indeed, the commission said that the final results would be uploaded as quickly as possible on the website of SSC. 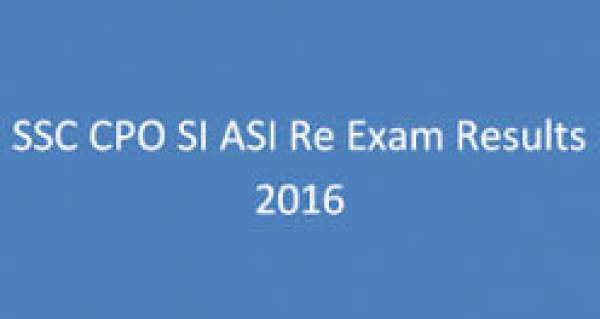 Every year, Staff Selection Commission releases notification regarding the exams of SI, CAPF, and ASI. Likewise every year, this year also it released the notifications for the exam. The commission first decided to organize the exam for Sub-Inspectors in CISF on 20TH March but before the conduct, the paper was leaked due to which the re-examination was organized in the month of June on 4, 5, 6, 7 and 11 June 2016. Officially, SSC released the answer key for the applied candidates to check their result on 27thy June 2016. SSC is the commission which is recruited by the government which has the authority to conduct various exams for different available posts in various departments. Many eligible and interested candidates get a chance to evaluate their knowledge by applying for the exams conducted by the commission. Over lakhs of people give the exams conducted by the Staff Selection Commission. It provides a platform for the candidates for the recruitment process. The qualified candidates are given a chance to avail the interview process for vacancies in different departments and ministries of government of India. Every year, SSC provides the notifications and details for the code of conduct of exams and also makes the results available for the applied candidates. A large number of eligible and interested candidates applied for the exam. According to the graphs and conversion tables, this year nearly 240,000 aspirants applied for the re-examination. The applied candidates made significant efforts by practicing day-by-day to qualify the exam. Now, the eagerness in them is rising to know their result status. The applicants were filled with joy and happiness when they came up to know that they have clarified the paper 1, but now for them the time duration has further increased for their final results due to the withdrawal. The aspirants wrote the examination from different regions. Now, they are curious to know their results for their exam. The commission notifies the applied candidates that the result for their exam will soon be updated on the official website, ‘www.ssc.nic.in’ itself. Applicants must keep an eye on the website regarding the latest updates and news.